As the clock winds down to the U.S. release of the latest Hobbit film, it's time to start facing the fact that we may not be getting all we want for Christmas, ie: the Batman v Superman teaser. 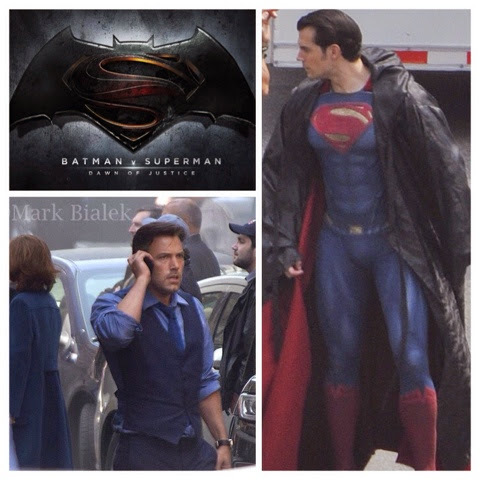 If that's the case, our next best guess would be that Warner Bros. could release it on February 1, 2015. Yup, Super Bowl Sunday, because what football fan wouldn't love to see a preview of THE fight of 2016?.. 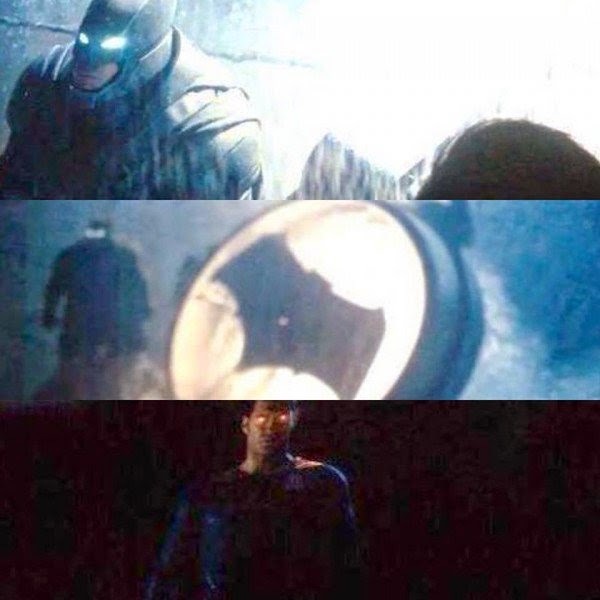 But we're not gonna go all Scrooge on you, just because we may not get the Batman v Superman trailer December 17. After all, we do have 'Krypton' to look forward to..
For you procrastinators out there still looking for that perfect holiday gift, there are plenty of really cool items which also support Henry's charities. Here are the links to their stores: RMCTF/ Durrell Wildlife/ Cavill Conservation. Our focus this holiday season, in addition to trying to reach Henry's RMCTF goal, is to let him know he has your support. To that end, we're putting together an online Christmas card with your well wishes/virtual hugs for Henry. Kind of like what Céline did here. "@Celoo48: Sending love, peace of mind, quiet life & all my support :) kiss to all"
We're looking for your pictures and videos on Twitter, Vine, Instagram, Facebook, however you want to send Henry that virtual hug. Get creative! - the more submissions we get (tweet us, email us at henrycavillnews@gmail.com, message us on FB, and/or tag your IG posts with #MerryChristmasHenryCavill) the more we can show him your support. You can start sending in your messages now, with a deadline of Saturday, December 20. Hope we can count on you. We strongly believe in the power of social media for good, let's show Henry it can be a place of comfort and joy this holiday season. __man_of_steel___: "What this world really needs is love, friendship, family, forgiveness, kindness, companionship and gentleness. What this world really needs is hope." Hi Henry Cavill News'm Brazilian and love the work of you admire and respect each update do about Henry Cavill, I note that each post and carefully evaluated, so have the agrader everything they do for fans of Henry. text below contains all my admiration and respect for Henry and an incredible human being he is. Sorry for the typos, but my English and bad. You're away, and when I think about it I get a little sad. Because do not know if I'll ever be able to touch you, I can say what I feel personally, but I have not given up. You know what I do to remove the sadness and longing? I see thousands of pictures of you that I have, I see your favorite movies ... This is just a way to stay close to you. Because I know the fan love never ends, and while I do not see you, I write, to relieve some of longing and desire to hold you. I love your way, his gestures, his laughter, and above all, the love you have for your work. Henry Cavill, intensely alive, love desperately, and is very happy, always have my unconditional support! Thank you for taking the time to share your message for Henry. Don't worry about your English, what matters is the thought. We'll include it in the Christmas post. Erin, thank you for taking the time to leave a message for Henry. We'll make sure it's included in his virtual Christmas card. Thank you. Oh I almost forgot something. Merry Christmas to Henry Cavill ' family too. Also , would you mind showing him the superman ornaments too? There I go with my good wishes. I hope that is well understood, since English is not my native language ..
First, sorry for my poor english. Isn't my mother tongue :D Thank you for everything you give us. It's difficult to explain in words how much I admire you and how proud I am to follow you, to support you at all. Thank you for your humility, for your charisma, your sympathy and humanity to all that you have. I'm very proud. Never change, Henry. You're a gentleman from head to toe with a HUGE talent. I admire you. Merry, Merry Christmas. And that next year will be better than this we leave. Greetings from Barcelona. Hopefully soon come to visit my country. Anna Escala. Anna, your message will be included. Thank you so much! Thanks to you! For bring to us the oportunity!!! I love the work you guys do . Big fan of Henry cavill. Appreciate it! -- Yes, Henry is awesome, really. Dear Henry, I wish you merry Christmas and a happy new year. May all your wishes come true. Thank you for this wonderful year. You are so generous with your fans. Thank you for all the time you give for photos and smiles. And what a smile ! The best thing in the world. I like your support for Durrell Wildlife Park in Jersey. I encouraged you with my mind for the Gibraltar Rock Run. You are incredible Henry. You are wonderful. Merry Christmas Henry and to your family. I look forward to have news from you but I'm glad to know that you are on vacation to enjoy your family and friends. Merry Christmas Henry and happy new year. I wish you all the best. Thank you Marie, really appreciate your support for the blog and for Henry. We'll make sure to include your message. Merry Christmas! Brazilian love Henry ... We have a dream to see him here and have a chance to meet him personally. I wish Henry every good love that exists in this world. It has a wonderful end of year, and that 2015 is great in life and he continues increasingly smiling. And earning gorgeous character to your career. And love Henry as we are of the same sign, personal kisses! It's all your work and support for Henry. We just report on it. Thank you! Aaaah, I'm late but never mind I will write some words (my first message got deleted, bouh), because Henry deserves it. "Merry Christmas to the Man of Steel ! Cause Henry, you really are Superman to me. You've done so much and you are genuinely kind. I admire you with your work for Durrell's Wildlife and RMC ! It's so inspiring for us. You are very a great person, the World needs you and we need you as well. You are so sweet with your fans, it make my heart melt with love. I hope you the best, and that 2015 will bring yo the best. Happy holidays to you and your family, Henry. While we've had to delete certain comments lately, don't think we deleted yours unless it violated our policy. Really doubt it from your nice words. Either way thank you so much for taking the time to leave a message for Henry. We'll make sure to include it in his holiday post.